Reading a book with your partner can be a bonding and educational experience. 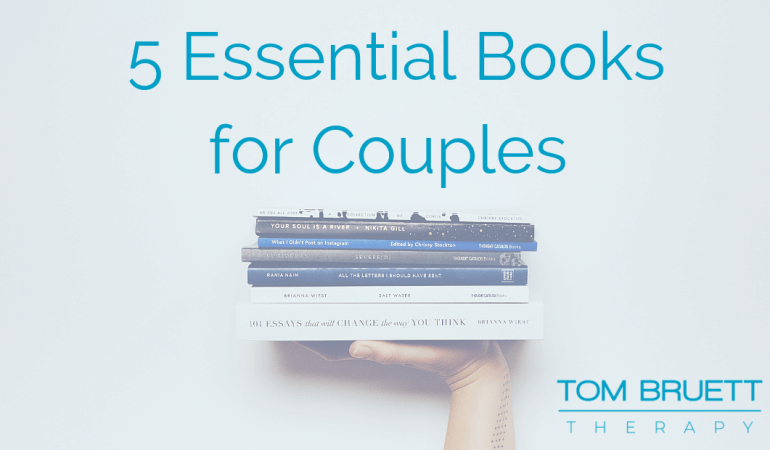 As a couples therapist, I’ve compiled a list of the 5 essential books for couples to ready together. Reading is just one of the many things you can choose to do with your partner. The act of setting aside time to focus on your relationship is crucial to maintaining a strong bond with your partner. What you decide to do together is less important than the act of setting aside quality time to focus on each other. Whether it’s reading, hiking, cooking or doing home improvement, pick something that you can make a part of your routine. Then make sure to do it! If reading is your thing, here are some tips to get the most out of the experience. Pick a time each week to talk about the book. Ideally, you want this to be a predetermined time that will work for you both each week. It’s less ideal if one person has to always initiate the discussion. Commit to a time and if one of you has to reschedule, take that responsibility seriously. Before you sit down to talk about the book, read a chapter or two and spend some time yourself thinking about what you’ve read. Then simply compare notes. What did you like? What spoke to you? Experiment with being vulnerable and really listen to your partner when they speak. 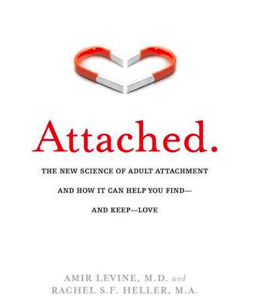 Attachment theory is a scientific way to understand why we bond and attach to certain types of people. This book breaks down the science and provides clear and simple real-life examples to learn from. It’s a quick read, but it packs a punch. Who is this for? This book provides clear examples to explain why we are the way we are in relationships with other people. I’d recommend this for couples and singles looking to deepen their own understanding of how they are in relationships. It can help you understand the ways in which you relate to others, and that will certainly impact any partnership. The material is rich and there is plenty to dive in and process. If one of you is comes from a more logical place and the other person leads with emotions, this is a good book for you. Esther Perel is a leading New York based couples therapist. She talks about the challenges of maintaining excitement and connection in long-term monogamous relationships. Through case examples, she outlines some common concerns long-term couples come into therapy with. She offers strong insights and practical advice for staying happy and committed. If you like her work, she has an excellent podcast about couples therapy I’d also recommend. Who is this for? This book is for couples that have been together a long time. She explores crucial topics for couples to examine together. This is the book for you if you’ve ever wondered how to keep excitement alive or what to do if you feel your partner pulling away. Perel is also a fantastic writer and storyteller, so the book is joy to read. 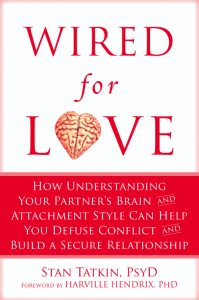 Wired for Love explores the ways in which we can better understand our brain and how it works in love. It also provides insight into the way our partner’s brain works, and how we can better connect and support each other in coupling. Tatkin uses a brain-body approach and helps breakdown neuroscience into practical principals that couples can actually use. The advantage of understanding the science behind attachment is that it removed the blame game from the conversation. When we can better understand our attachment style, we can better understand our brain in relation to our partner. Who is this for? I’d recommend this book for couples who enjoy understanding the science behind their emotions. 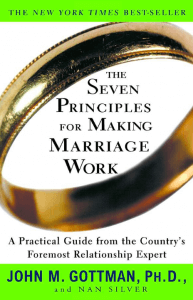 Tatkin provides 10 practice principals that you can experiment with in your relationship. If you enjoy understanding how things work and you like the idea of science based tools to explore, this is the relationship book for you. This book explores the landmark research of Dr. John and Julie Gottman. The Gottmans have researched the habits and behavior of thousands of couples and have scientific evidence about what works and what doesn’t in relationships. Gottman provides simple, practice advice and offers a framework for how to improve pretty much any relationship. Who is this book for? I’d recommend this book for couples looking for concise, action-oriented advice for how to improve your relationship. Each chapter provides a number of exercises and discussion points. You can easily read this with your partner and take a few practice pointers away to improve your relationship. 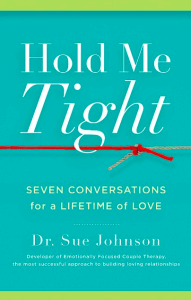 Hold me Tight is a classic couples therapy book written by a master. Sue Johnson shares her theory of Emotionally Focused Couples Therapy in a form that is easily accessible for most people. She breaks it down into seven conversations, making it an easy book to read and discuss with your partner. Her case examples are poignant and her insights into the negative cycles that couples can get stuck in are priceless. Who is this for? This book is for couples looking for an easy to follow guidebook on relationships. Johnson breaks the process down into an easy to understand format. It’s less science and brain based than some of the other books on this list. This is a book for you if you lead with your emotions and you want some guidance on how to keep them in check and change negative cycles.